Celebrate spring this weekend at the Midlands Plant and Flower Festival beginning Thursday, April 11 through Sunday, April 14 hosted by the SC Farmers Market. Gates open at 8:00 am Thur-Sat and 10:00 am Sunday. A variety of plants, flowers, shrubs, outdoor furniture, and many other products for the yard will be on sale. For more information, click here. 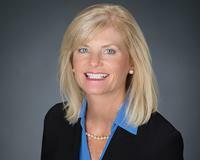 Jill Calderone is a real estate professional with EXIT Midlands Realty. Jill specializes in assisting buyers and sellers throughout the Columbia Midlands, Chapin, Newberry, Lake Murray, Lexington, Irmo and the surrounding areas. She can be reached on her cell phone at 803-606-4491.